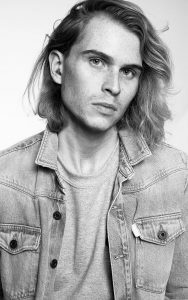 Patrick Wilson is a London-based hair stylist and men’s groomer renowned for creating beautiful, effortless hair. Patrick has become an Instagram sensation, inspiring his followers to achieve the now famous Wilson Wave. Patrick’s clients include GHD, Belstaff, Graff Diamonds, Color Wow and Bulgari. Magazines include Wonderland, Glamour, Hunger, Grazia, Client, L’Officiel Hommes, Hero, Victor & Phoenix. His red-carpet roster includes Jodie Comer, Cindy Crawford, Kaia Gerber, Olympia Campbell, Mae Muller, Mollie King, Rochelle Humes, Danielle Peazer, Amy Jackson, Denise Gough, Paloma Faith and Kendall Jenner.